"Karim Garcia. Who's Karim Garcia? I have no respect for that guy, I don't have anything to prove to that guy. When you talk about Derek Jeter, Bernie Williams, Paul O'Neill, guys like that that you really tip your hat, that you can understand, but guys like Karim Garcia, what? So what? Who are you? 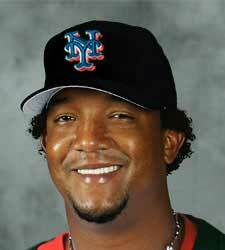 Who are you, Karim Garcia, to try to tell Pedro Martinez, a proven player for 10 years?"